My Top 10 albums of 2015 ... some of these will find it's way onto this top 25 albums list in the future. 2014 is HERE. Below is a list of what I consider essential albums to own on vinyl. This list did not come together overnight. It’s the product of years spent scouring record stores, attending concerts, talking shop with music lovers whose knowledge often far exceeded my own, and most importantly, thousands of hours spent actively listening to albums. You should understand that my opinion is simply that – an opinion. If you’re at all like me though, it’s sometimes difficult to know where to start when putting together a decent collection. Along the way, I intend to give you some tips about where to start with your own collection and point out some reasons why these vinyl records are unique. Keep in mind, a list of 25 albums is only a glimpse through the peep-hole of what my collection holds, what I know it’s missing, and future albums that will find their way in. Lists have a funny way of becoming irrelevant in a hurry. The irony of writing this list is not lost on me. It will be a potentially (but hopefully not) outdated list of albums that will be stumbled upon in 2019 only to be ridiculed by someone who right now (as I write this) is in 5th grade. That’s cool with me. In the end, it’s more about my personal reasoning and the following considerations rather than my very specific list of the top 25 vinyl albums. Arcade Fire has grown their fan base exponentially since their debut album Funeral in 2004. When they released their follow-up in 2007, the anticipation had early adopters on the edge of their seats to see if the music could possibly hold up to the debut. Neon Bible did just that, showing excellent depth and staying power for a band that continues to get better as their catalog grows. Neon Bible was released on vinyl as two 180gram records consisting of three sides of music and the fourth side with etched-in Neon Bible artwork as seen on the cover – something you'll rarely see and a unique artistic highlight to an already excellent album. 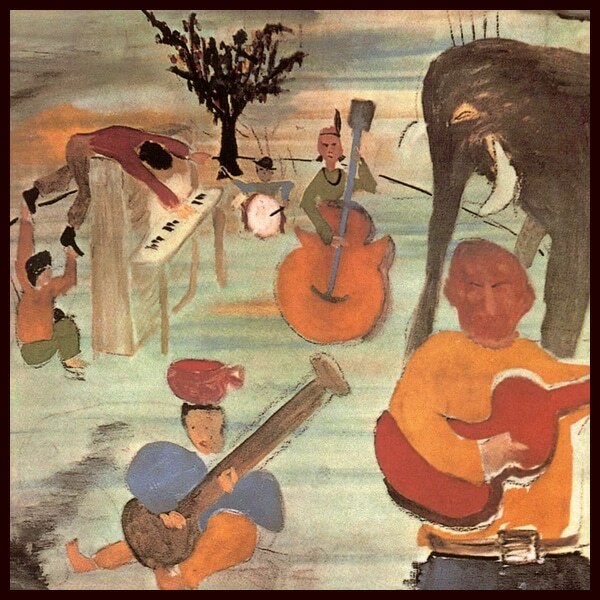 “Big Pink” refers to the house that members of The Band were occupying in New York when they originally composed the tracks that would end up on the album. As a modest nugget of music trivia, “Big Pink” was the same house where Bob Dylan and The Band’s Basement Tapes were eventually created. To say nothing of the excellent musicians, and the music that comprises this album, some legendary artists of our lifetime put together classic music, and you’d be doing yourself a favor to include it as part of your growing record collection. 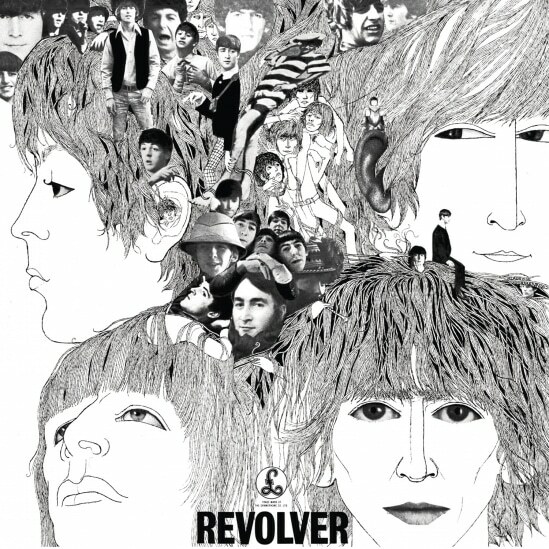 Q: Why is Revolver the best Beatles album to own on vinyl? A: Because it’s the best Beatles album period. The artistic and technical innovation that occurred during the 300 hours of studio time for the Fab Four is as astonishing as it is unmatched, taking place while the band was truly in its prime. After producer George Martin created his own label, the group then had time to develop the album at their own pace without anxious record execs breathing down their necks. “Eleanor Rigby” features a string octet and is very much an example of Paul McCartney’s genius, although each of the members contributed to the lyrics. “Tomorrow Never Knows,” the final song on the album, stands not only as a forerunner to the psychedelic rock movement, but also reveals just how far ahead of the times the Beatles were, using automatic double tracking for Lennon’s vocals, reverse guitar, and multiple looped tape effects. With Revolver, one finds the right band at the right time with everything falling beautifully into place...to not own and know this album on vinyl is nothing short of a musical crime. One of the biggest draws for me with a band like Beirut is their ability to create beautiful music with traditional instrumentation (not electric guitars, folks) that you just don’t get in many other places. Zach Condon is an artist like few others, one who can create an album that incorporates instruments like the trumpet, flugelhorn, ukulele, accordion, cello, melodica, upright bass, trombone, tuba, and glockenspiel without it sounding like circus music. 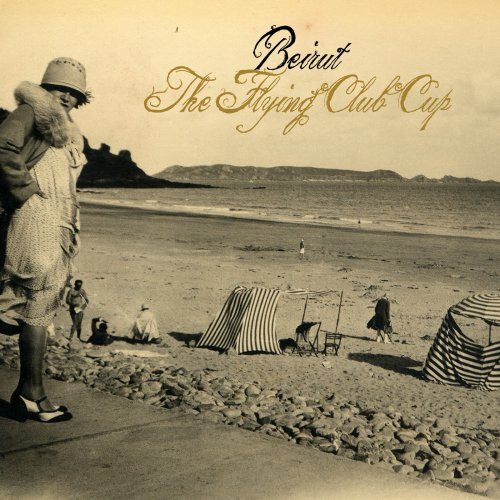 The second album from Beirut was inspired by a turn-of-the-century Parisian balloon festival, with each track tied to a different French city, resulting in a musical masterpiece that will remain timeless among your otherwise potentially dated record collection. The liner notes of The Black Keys second album casually explain that, “all songs were recorded and mixed december 2002 by patrick carney in akron ohio at studio 45 using his patented recording technique called ‘medium fidelity.’” This might seem like boring technical jargon until one discovers that “medium fidelity” was a tongue-and-cheek reference to the old, junky, and half-borrowed analog recording equipment used to record the album (1980’s Tascam 388 8-track recorder) and that their “studio” was, in fact, drummer Patrick Carney’s basement. Recorded in a non-stop 14-hour session, Thickfreakness is the Akron duo stripped down to their fuzzy-licious, ghost-of-Junior-Kimbrough, dirty blues core. Carney bangs the drums like a floppy-haired Thor and Dan Auerbach’s voice is 23 going on 60, full of cigarettes and gravel…in other words, perfect for a garage-rock blues album and drool-worthy on vinyl. Damon Albarn is known for a myriad of successes throughout his career that include leading the widely popular band Blur in the 1990s through the early 2000s, as well as his genius work as the unsuspecting leader of Gorrillaz starting in 2001. 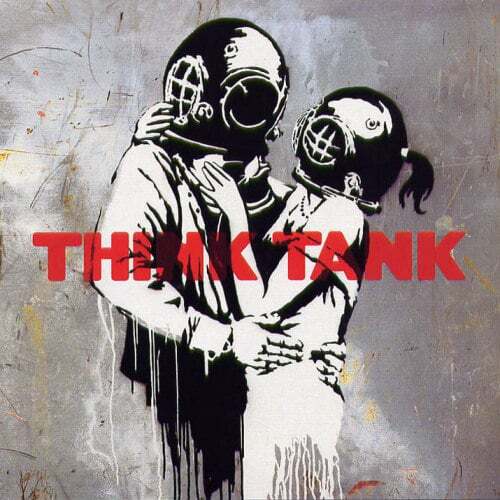 Although many of his albums could have found their way onto this list, we felt driven to include Think Tank not only for the musical beauty of the album but also because it has a rare commercially-released cover by the widely popular graffiti artist Banksy; a genius in his own art realm. If not for the beautiful album of music contained on the vinyl, framing the cover and hanging it near your record player will be an easily appreciated musical and artistic conversation piece to say the least. We could have included ten Bob Dylan records because his sound lends itself so well to the vinyl format, but Blonde on Blonde is an easy standout even among his catalog. 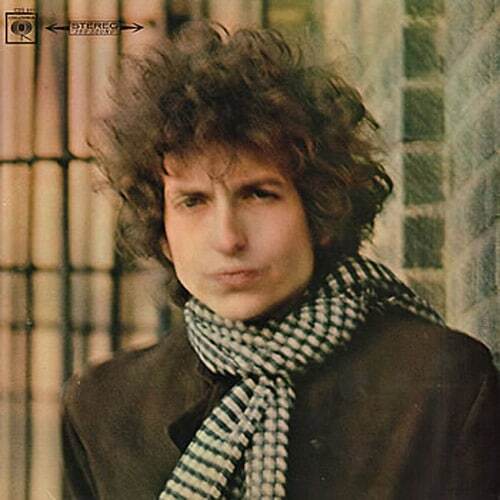 Largely accepted as one of the first double albums to be released by a major recording artist, Blonde on Blonde was Bob Dylan’s seventh studio album and was released in the summer of 1966. Although the record contains many great Dylan tracks, the beautiful 11-minute “Sad Eyed Lady of the Lowlands” was done in just one take at the end of an 8-hour recording session at 4 o’clock in the morning and is one of the greatest songs you could ever listen to on a clean cut of vinyl. 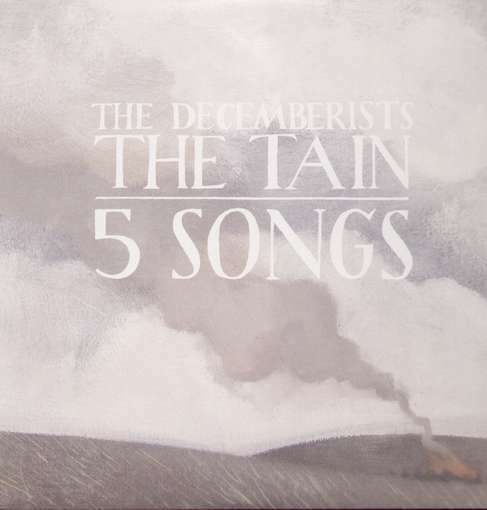 The Tain is a relatively lesser-known track by the Decemberists, most likely due to its length – it weighs in at over 18 minutes long. This bodes well for vinyl lovers and fans of the Decemberists because its obscurity alone makes it a treasure, but the 5-part track fits perfectly on just one side of a vinyl disc. So as an added bonus, the B-side of the album is one of the other lesser-known Decemberists works: their 5 Songs EP. Any Decemberist fan that hasn’t heard this music will surely love discovering it in its most fitting format. If your musical interests tend to reflect a great appreciation for rawness and grit, you should look no further than Deer Tick for a catalog of records that will fulfill those interests. 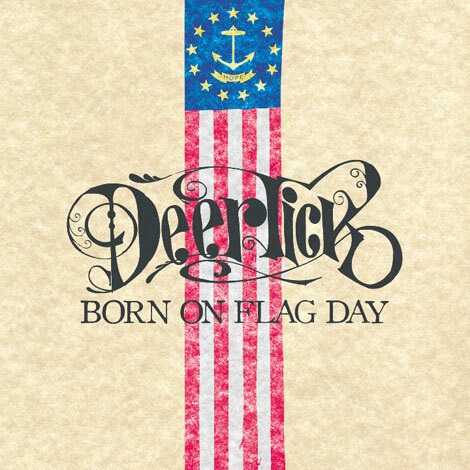 Born on Flag Day was created after a 20-day marathon recording session that resulted in this album, and is some of Deer Tick’s best work to date. With a sound leaning on a mix of country and blues together with the rasp of lead singer John McCauley’s voice, you’d be hard-pressed to find a better album to soundtrack your summers. As an incentive to search local record stores you might even find a copy of this LP pressed on clear vinyl—they’re out there. 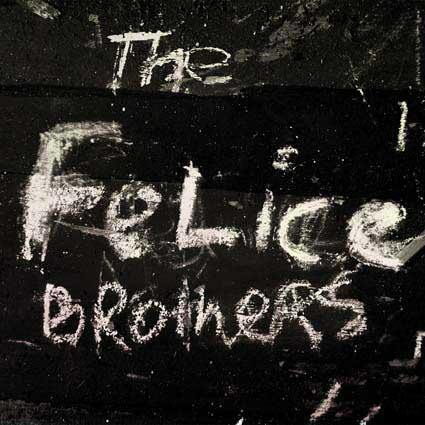 As the story goes, the Felice Brothers got their start by playing together at their dad’s Sunday BBQs and performing in New York City subways. Without leaning too much on that storyline, it does give you a context of what their early music might have sounded like. Their music was seemingly made to play on vinyl and to be enjoyed in thorough contemplation of life’s greatest stories. Beautiful ballads, sing-a-longs, tracks on the threshold of parlor music, and themes of death, murder, love, regret, hope, depression, and violence – it’s American music at it’s best. 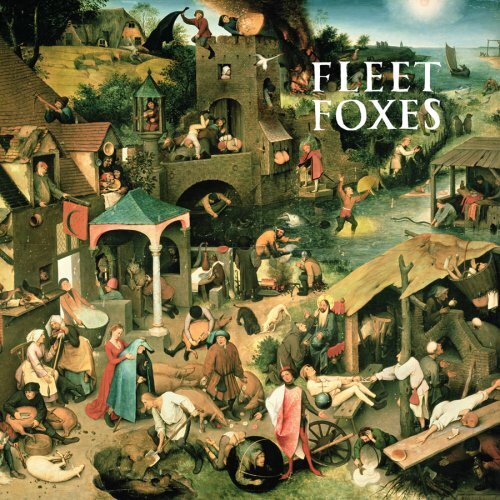 Fleet Foxes self-titled debut, released in 2008, was an instant classic and phenomenal start for the 22-year-old Robin Pecknold. The vocal harmonies and stellar songwriting make this folk rock/baroque pop newcomer seem like an artist wise beyond his years. The album plays beautifully and flows naturally, like the perfect Sunday afternoon record. Fleet Foxes features a full-size bonus LP featuring the Sun Giant EP in its entirety, a welcome surprise for anyone who purchases this first album on vinyl. It also features cover art detailing “Netherlandish Proverbs,” a painting by Pieter Bruegel the Elder. 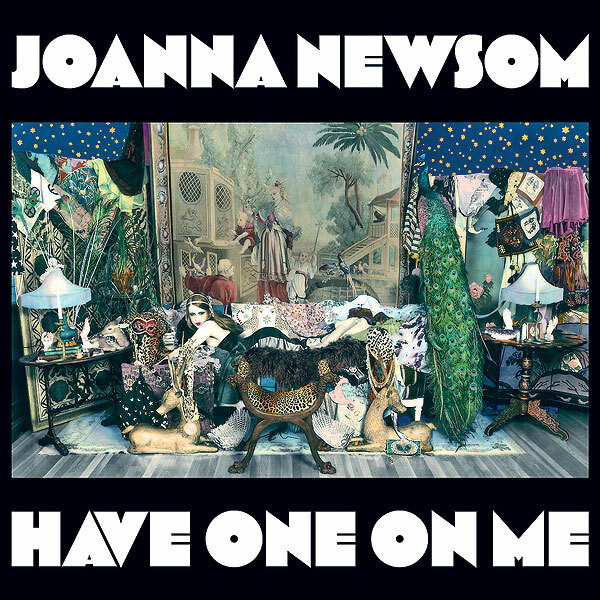 Every collection needs some artistic diversity, and Joanna Newsom will give you a lot of it in one bundle. Her box set vinyl release for Have One on Me is her third full-length LP, ringing in at over two hours of music, expertly showcasing her harp skills and unquestionably brilliant songwriting ability. There is a reason artists like Fleet Foxes, M. Ward, and The Decemberists readily cover her music; her songwriting ability is in another league and one that any focused listener can appreciate. There’s a lot to talk about Kanye West without even grazing the surface of a discussion about his music. Truth is, whether you particularly care for the guy or not, his dedication in the studio is among the top in the business, the result being a bevy of successful albums for himself and other artists across the spectrum. 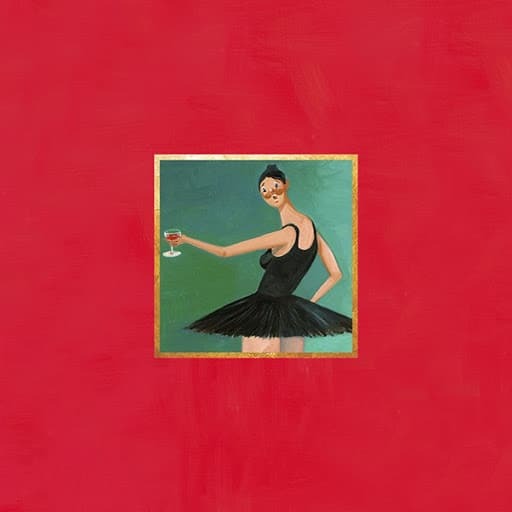 My Beautiful Dark Twisted Fantasy is one of the most highly-praised albums of the last several years and is certainly the most artistic of his own catalog. Released as one package of three LPs with bonus art, you will surely be holding on to a classic album in the future if you get your hands on a copy of this today. 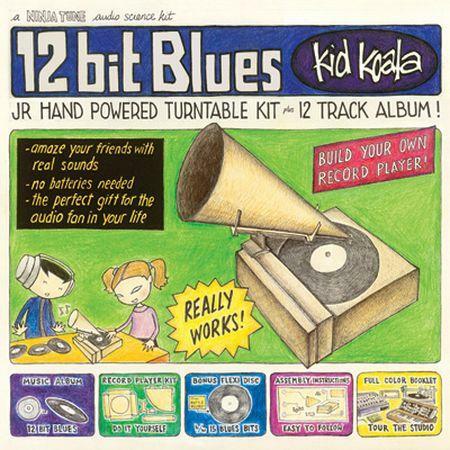 12 bit Blues is an epic blues-based album showcasing the talented DJ/turntablist/musician Kid Koala. Eric San used an E-mu SP-1200 sampler to create the tracks for this album over the span of three days without the use of modern day sequencing software. The result is 12 bit Blues, an album of re-invented blues music that will have you shaking your head in amazement of his technique. To be brief, the longest sample on the entire album is only 10 seconds long, which means no splice of any individual track would play longer than 10 seconds without San queuing the next part manually to keep the track alive (that’s a lot of work and a lot of samples to make an entire album sound this fluid). As a bonus for buying on vinyl, the LP is packaged with a cardboard, hand-powered turntable kit that actually works and plays music…the perfect way to teach any doubter how to really appreciate analog music. So much can be said about what the Kings of Leon used to be versus what they are today. 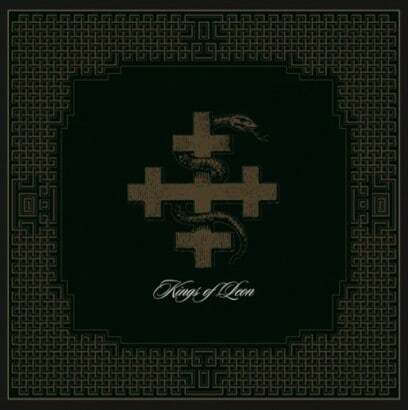 No matter your position on the topic, this box set of the first three KoL albums is a treasure. Youth & Young Manhood, Aha-Shake Heartbreak, and Because of the Times capture KoL at their earliest musical roots when they were touring the country in dive bars and working their way up to the larger audiences and commercial successes they enjoy today. Original cover art for all three albums (which are difficult to find elsewhere), plus an entire LP of handpicked rarities from the band, make this worth the investment. This is a well-packaged set of albums for your growing record collection, because few things rock harder than early KoL. If your plan was to purchase only one jazz album on vinyl, first I would tell you what a horrible decision that is. Jazz is one of the best sounding genres on the format, with original Blue Note recordings fetching hundreds and even thousands of dollars at auction. 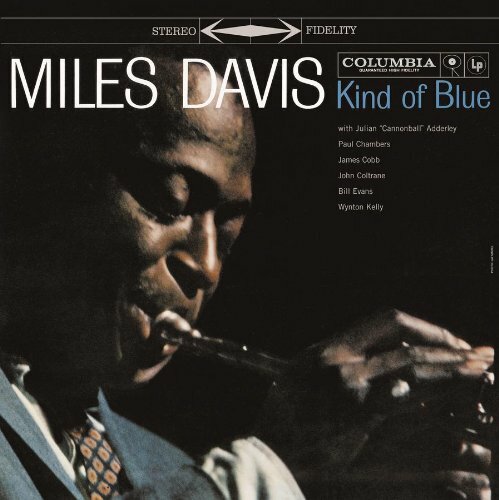 However, if you persisted in your foolishness I would tell you to pick up Kind of Blue by Miles Davis. The best-selling jazz album of all time brought together a stunningly talented crew – John Coltrane, Julian “Cannonball” Adderley, Bill Evans, Wynton Kelly, Paul Chambers, Jimmy Cobb, and of course Davis himself. The musicians were given the basic outlines of the songs, but little else, as Davis wanted to capture the spontaneity he knew was at the real heart of jazz. It worked perfectly and when played on vinyl you start to understand why great jazz is something you feel more than you hear. 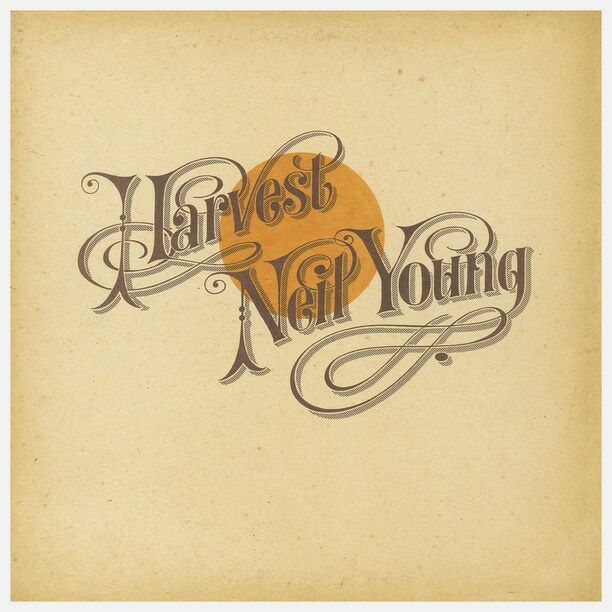 James Taylor, Graham Nash, Linda Ronstadt, Stephen Stills, David Crosby – what could easily be the lineup for a music hall of fame concert is actually the list of vocal contributors on Neil Young’s fourth studio album. Including songs like “Old Man” and “Heart of Gold,” Harvest checks in as Rolling Stone’s 78th greatest album of all time. The original vinyl release featured a beautiful lyric sheet and soft jacket that added to the hand-crafted feel of Young’s music. If you can get your hands on the original LP, good for you, but if not there are several re-pressings that have garnered praise from critical fans in recent years. Whichever pressing you end up with you can be satisfied in knowing that you possess an album that helped define Americana. Ironically, it required a Canadian-born musician to do so. There are legendary albums, then there are albums full of legend. 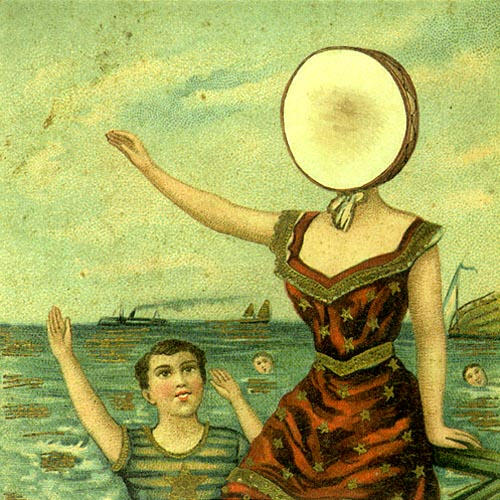 The second and final release by the Jeff Mangum-led indie rock band Neutral Milk Hotel belongs to an exceptionally rare breed of album that confidently straddles both. The dreamy turn-of-the century sound (organ, accordion, brass, pipes) and accompanying album art alone provide fertile breeding grounds for a certain mystique, but the hazy connections to Anne Frank, whose diaries reportedly served as an emotional catalyst for Mangum, help push it into cult-like status. Considered by many to be one of the greatest indie rock albums of all-time, In an Aeroplane Over the Sea continues to rank among the top sellers on vinyl year after year, despite being released over 14 years ago. One might be tempted to shrug it off as indie nostalgia...don’t. The music is lo-fi indie perfection, the album artwork grandiose and lovely – but most importantly there’s an intangible weight and force to this album that makes it a must-have piece of rock history for any true fan of music. 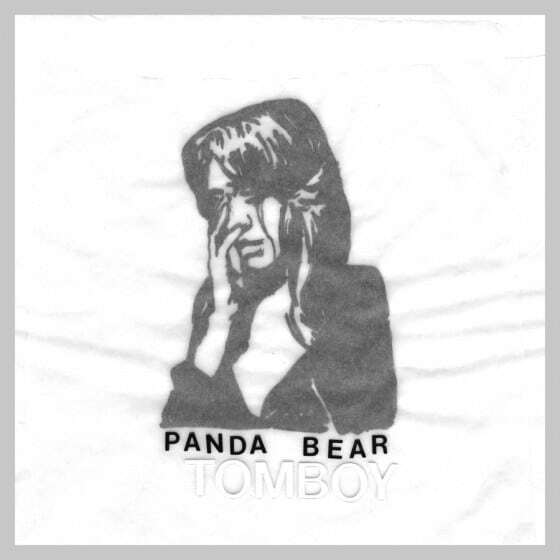 One of the most accessible Animal Collective albums released to date, Panda Bear (Noah Lennox) created Tomboy shortly after the widespread appreciation of Merriweather Post Pavilion as a solo follow-up to his highly praised album Person Pitch. Although it is a significantly different sound than most fans might have expected upon release, to this day it is one of the most listenable albums to come from the unconventional group of artists. The limited edition vinyl release of Tomboy is a four-LP set, including the entire album on two discs with the Tomboy single mixes and several unreleased instrumentals, a cappellas, as well as the single “The Preakness” and a 16-page art book. And, just to make you feel like a philanthropist, all proceeds of the limited edition LP go to the American Cancer Society – as if you needed that as your reason to love Panda Bear. 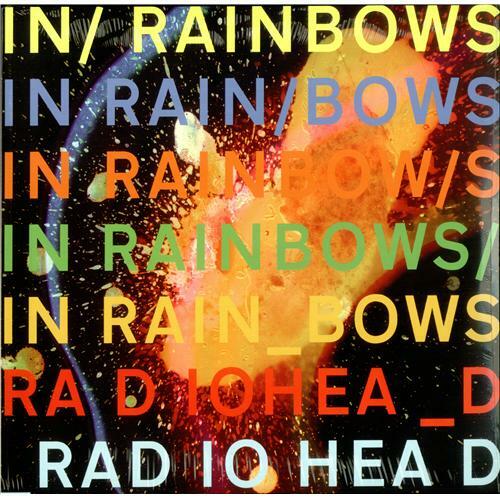 When Radiohead released In Rainbows in 2007 as a pay-what-you-want model, nobody was sure if that was going to reflect the quality of the release compared to their traditionally released masterpieces from before. Fortunately, it exceeded most fan expectations. They won several awards for their work and challenged the long-standing models of music access. As a bonus, they won a Grammy for Best Special Limited Edition Package for the vinyl release. Although you probably won’t find that Grammy-winning package very cheaply today, that doesn’t change the quality of the music contained on the album nor the enjoyment of the standard vinyl LP commonly available today. 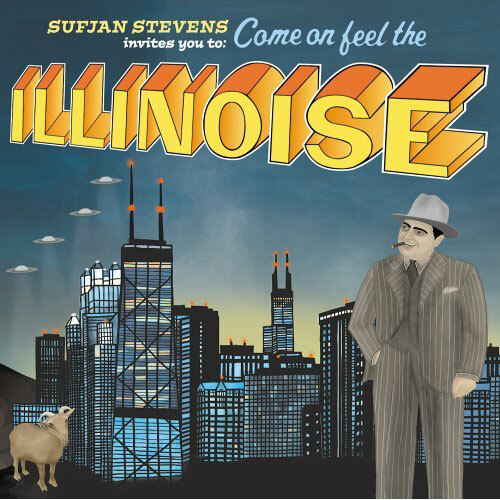 Sufjan Steven’s fifth album, Illinois, is his second state-based theme album. It contains people, places, and events relative to the title. The songs are not about the state explicitly; they just make a reference to the state in one way (sometimes direct, often indirect) or another. It’s not just beautiful music; it is an exercise in listening intently for the genius references while still making an album of incredible songs. This deep and active listening is what the vinyl format helps champion and with Sufjan, it’s a very rewarding exercise. 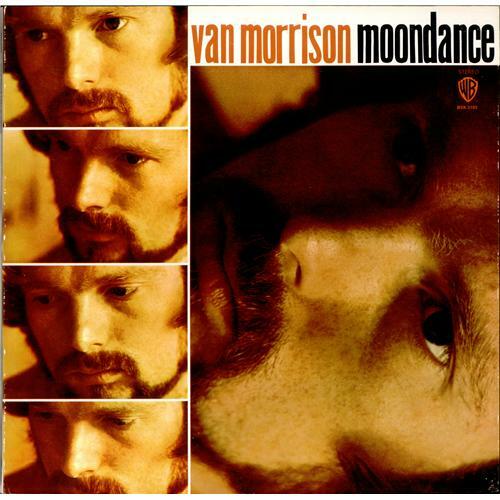 Written and recorded after a move to rural New York with his wife, Moondance is the album that put the Northern Irish singer-songwriter on the map. Blending jazz, soul, rock, and blues, the album contains a nostalgia that is easier to feel than describe. Much like Miles Davis’s Kind of Blue, Van Morrison brought into the studio little more than a basic outline of the songs, allowing the album to come together in a more creative and spontaneous manner. The highly subjective it-just-sounds-better-on-vinyl argument comes into play here with many fans describing fuller mids and lows on the LP in contrast to its CD/MP3 counterpart. Regardless, one really can’t go wrong adding such a classic from one of the century’s most gifted artists. 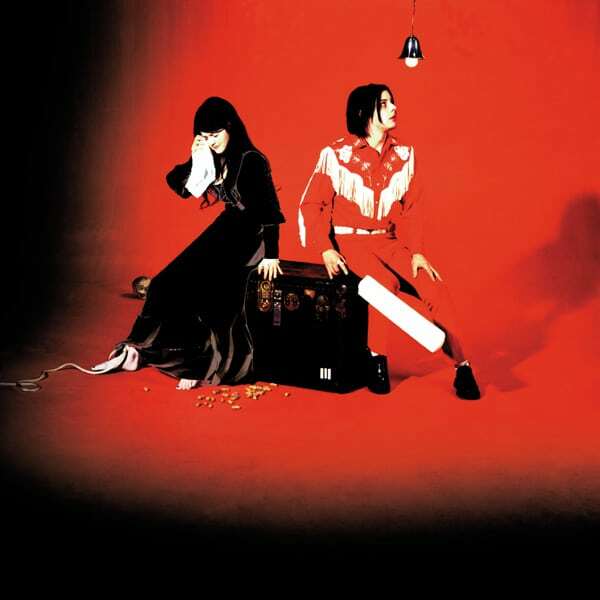 If listening to music on vinyl is a mild rebellion against the digital age, then Elephant, the fourth studio album by The White Stripes, is the French Revolution. Jack and Meg White chose to intentionally avoid modern recording technology or computers in the production process, using an eight-track tape machine and decades-old gear while laying down the album in just two weeks. The fifth-best album of the decade according to Rolling Stone, Elephant contains the well-known, “Seven Nation Army” in addition to a pulverizing cover of Burt Bacharach’s, “I Just Don’t Know What to Do with Myself.” The combination of old analog production equipment paired with the Whites’s characteristically distortion-rich shredding helps produce a rock album born for the turntable and a must-have for any true fan of the genre. 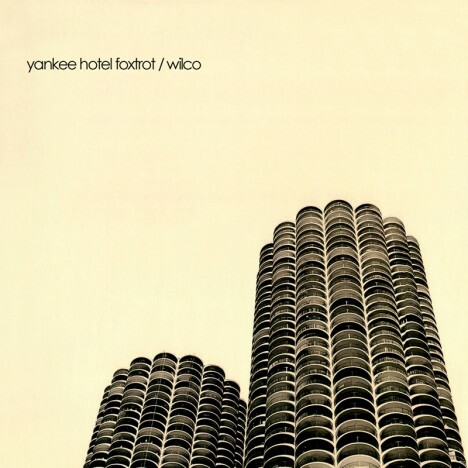 The story of Yankee Hotel Foxtrot is the classic tale of the artist triumphing over an increasingly bureaucratic and money-hungry record label. After a grueling year in the studio they handed the album over to Reprise Records only to have them refuse to release it without major changes. The Chicago-based band didn’t budge, trusting their artistic instincts over the judgment of the suits at Warner. This put the label in an awkward and soon very public position that eventually led to the album rights being transferred back to Wilco, who were then free to take it elsewhere. Finally released in April of 2002, the album was met with high praise from fans and critics alike who viewed it as the group’s most ambitious work to date and one of the best albums of the decade. This is an album to own not just because of its musical beauty and integrity, but because of what it represents – artistic conviction in an era too often marked by compromise and apathy. Most people would call this ambient music – but not the kind where you just leave your clock radio on when you’re working in the kitchen. The Disintegration Loops is a collection of tracks of modern historic value. 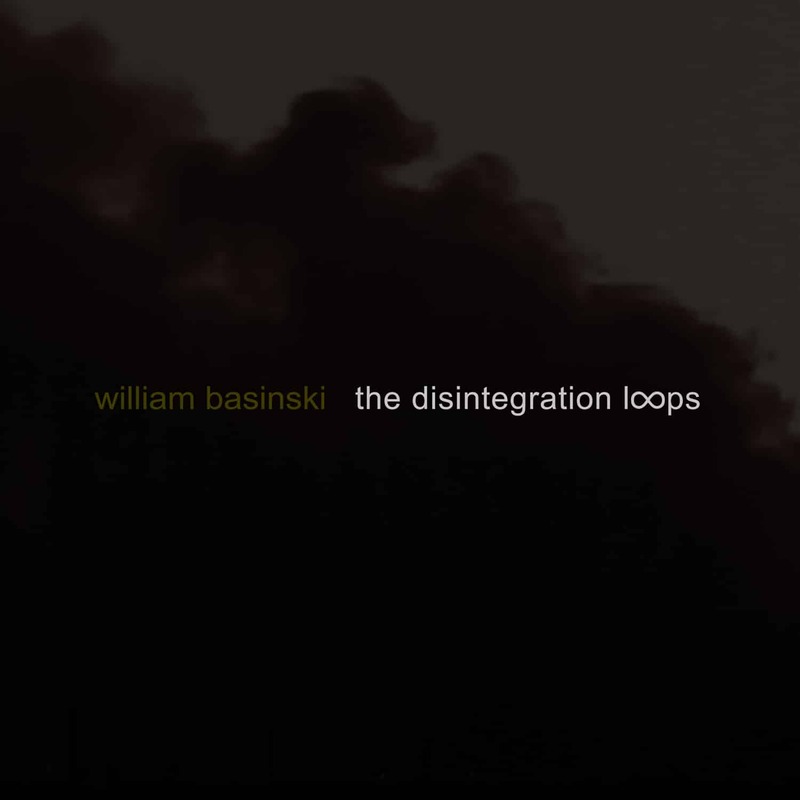 In brief, William Basinski was converting 20-year-old music loops from tape to digital in the summer of 2001 when, during conversion, he noticed that the decay of the tapes caused them to fleck and break apart in the conversion process. The result is hours of beautifully deconstructed sounds that take place slowly and gradually. It’s a musical experience like few others and I encourage you to read up on the story further, all the way to the part about how he finished them on the morning of September 11, 2001. In fact, the music is being inducted into the 9/11 Memorial Museum for it’s significance. Very limited, very beautiful.